So you have come to the realisation that customised print umbrellas are a great way to shout out your branding as well representing a fantastic return-on investment. The next step is to choose what umbrella type to go for. An umbrella is an umbrella right? Well no. There are hundreds of different umbrellas to choose from and finding the right one for your end user, the right one to carry your branding and the right one to fit your budget can be a bit tricky. Well we are here to hold your hand and introduce you to the three main categories of umbrellas so you have the best place to start your decision-making process from. Large, substantial and sturdy, golf printed umbrellas are great for events and for gifts that make a statement. They have large canopies, ideal for impact printing, and are ideal for men and women. Originally, as the name suggestions, they were designed and used to protect golfers from rain and shade. Nowadays, however, they are now used by all as they offer the best protection from the elements. Golf umbrellas tend to make the most durable choice as the large size of the canopy and shaft provides extra sturdiness against strong winds. They have a canopy size of around 130cm. Look out for fibreglass frames as these make them lightweight and easier to carry. Traditionally handles are wooden but easy-grip ergonomic rubber handles provide an even better option. 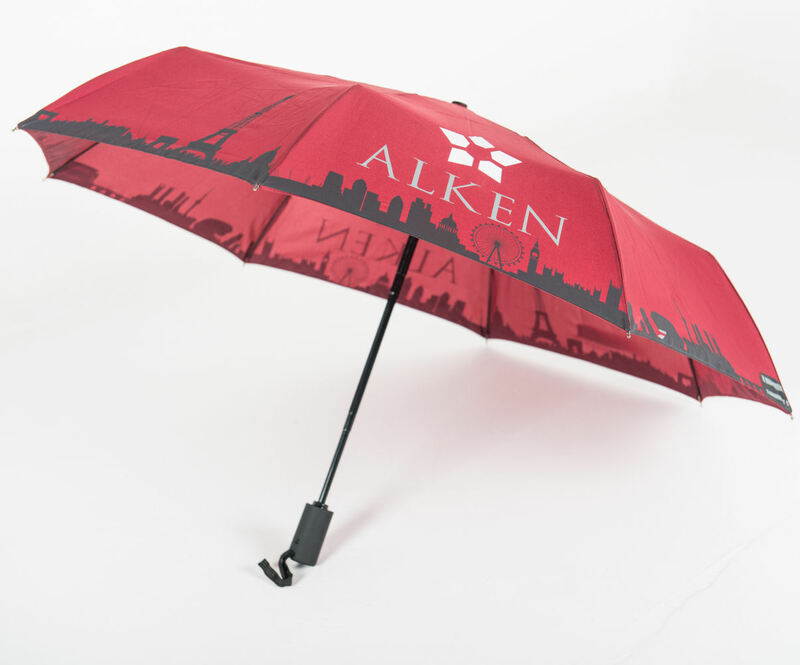 Walker printed umbrellas are not as large as golf umbrellas so are ideal for cities or where space isn’t so available such as outdoor events. They get their name from their length – they are slightly shorter than an golf umbrella making them an ideal height to assist walking and support the user. As they are smaller they are more lightweight and easier to carry and store. Despite being smaller they have the same technology as a lot of the golf umbrellas making them strong and sturdy. Walker City branded umbrellas have a vast range of customisable options and have a high-end, sophisticated feel, rather than a more sporty look that a golf umbrella has. This means you can create a very creative, beautiful walker umbrella that can wow users. A walker promotional umbrella canopy measures approximately 105cm. Its height is around 90cm. 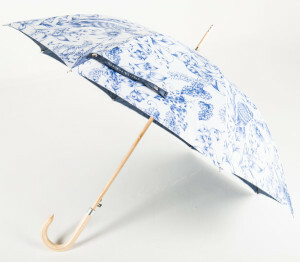 Brollies & Parasols offer fibreglass frames for strength and resulting in a lightweight umbrella. Why not opt for a wooden walker – a sleek wooden crook handle and shaft gives a very traditional and sophisticated look. As you probably know these are compact and collapsible. They have a ‘fold’ so they fold away to be a more compact umbrella. They are super slim and fit ideally into bags, whether a goody bag or a handbag. Because of their size they are easy to store and giveaway. These come in a range of durability – depending whether you are looking for something more budget to last for an event or something stronger for more longevity. You can opt for a one fold [compact], two-fold [super mini] or even three-fold [ultra compact]. Did you know you can get a golf sized telescopic umnbrella? Most telescopic umbrellas come with a brand able sleeve and you can even get customisable cases and tubes. Have you ever considered branded parasols? 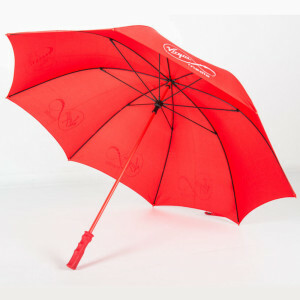 Why not check out our Promotional Parasol range for something with even more impact!